Formulaic is a PowerShell module for math, physics, and statistics functions. Formulaic is also open-source, so you can check out the code and use it to create your own calculators. 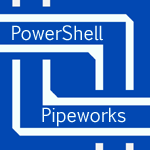 Formulaic is published with PowerShell Pipeworks as a web site and service, with a companion Windows app.